A newly released piece of concept art has caught our eye. Not for its intended purpose of showing off a new nighttime show, but rather for a possible new entrance marquee for Mickey and Minnie’s Runaway Railway. Seen below in the Wonderful World of Animation nighttime spectacular concept art is possibly the new look for the Chinese Theater exterior at Disney’s Hollywood Studios. 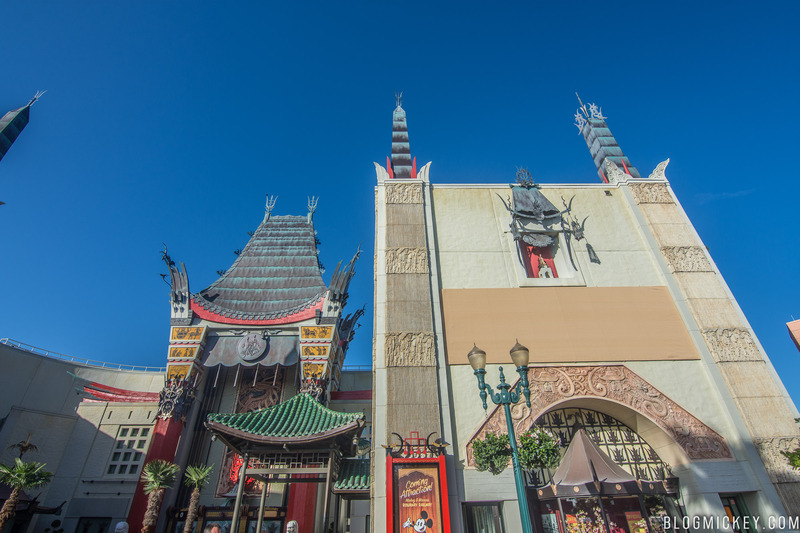 The above piece of concept art is interesting because of a recent development on the Chinese Theater facade. While most of the work taking place for Mickey and Minnie’s Runaway Railway is hidden inside the building, there has been some visible work on the exterior of the building. Seen below are two sets of what appear to be mounts for a sign. 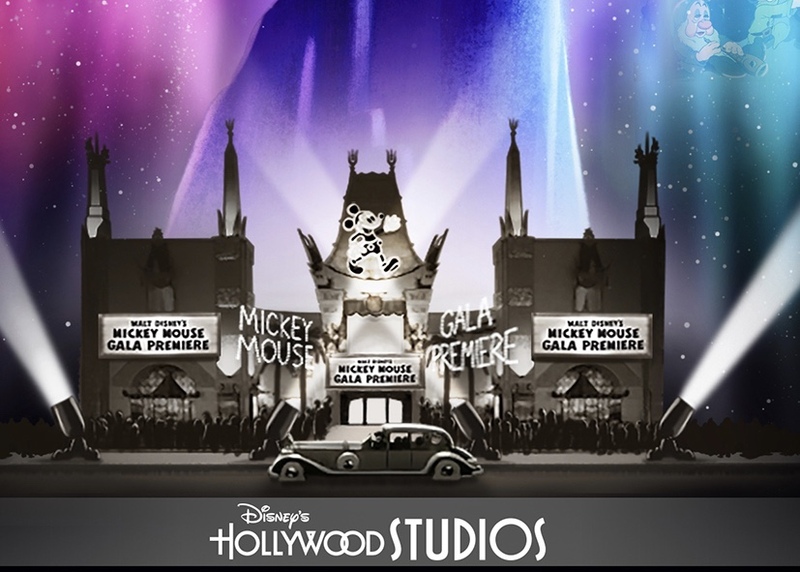 A new sign in this area of the facade could be the same one that’s shown in the concept art above, reading “Walt Disney’s Mickey Mouse Gala Premiere”. It would make sense that a marquee would be showcasing a Mickey Mouse premiere because Mickey and Minnie’s Runaway Railway will take us into an all-new Mickey Mouse short titled Perfect Picnic. As the story goes, we’re attending the premiere of the new short when a magical moment puts us right in the middle of the new short. 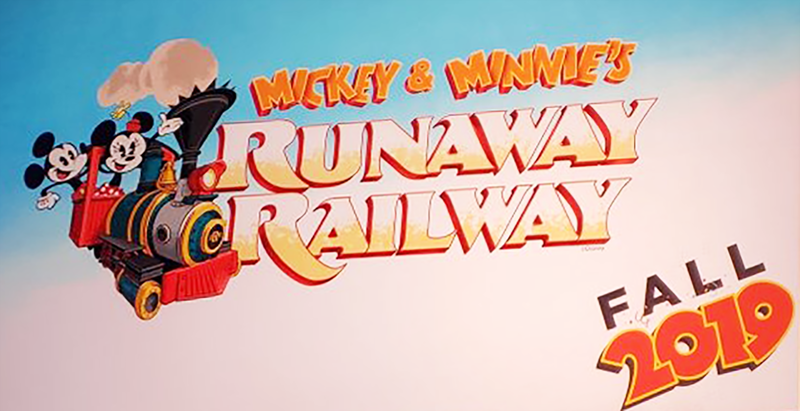 While the concept art displays “Walt Disney’s Mickey Mouse Gala Premiere”, we anticipate the Perfect Picnic short name to be worked into the final marquee when Mickey and Minnie’s Runaway Railway debuts next year. It will be interesting to see how much “Runaway Railway” signage there will be versus the anticipated grand opening marquee for Perfect Picnic. 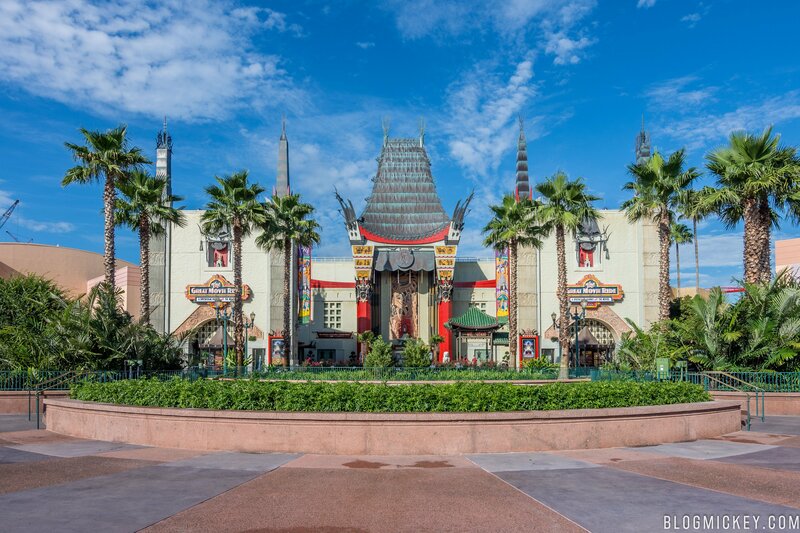 Of course, the theory could break down a bit when you consider that Disney made a conscious decision to remove the flanking Great Movie Ride marquees just days after closing the ride for good in August 2017. That said, it’s possible Disney could bring back the marquees with the updated wording and look in the future, and just wanted to remove them to avoid guest confusion in the meantime. It’s worth noting that we believe the giant Mickey Mouse on the central peak of the facade as well as what appear to be neon lettering would be part of the projection show and not a permanent installation. 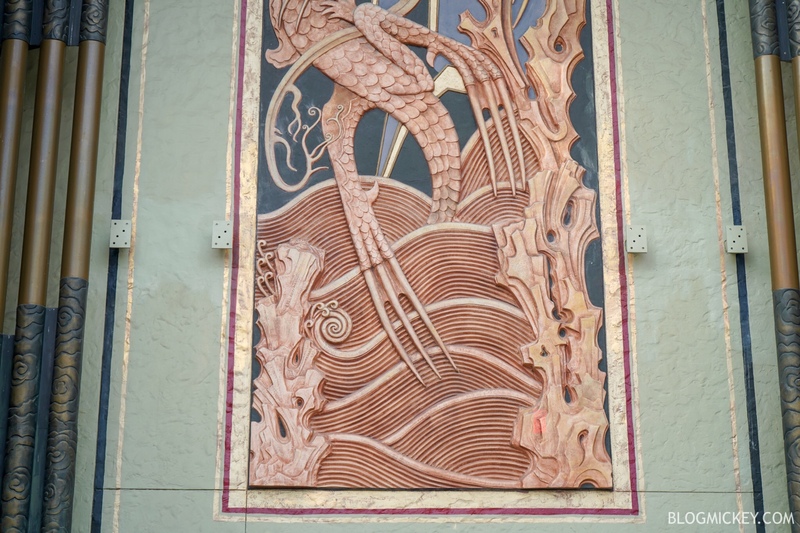 Time will tell, but we think that the combination of mount installation and concept art could be showing off the new look for the exterior of the facade once work is complete. As for the attraction itself, Disney made a bit more news by announcing a fall 2019 opening date. This places the attraction opening date at a much later time than the rumored spring opening date that has been floating around. 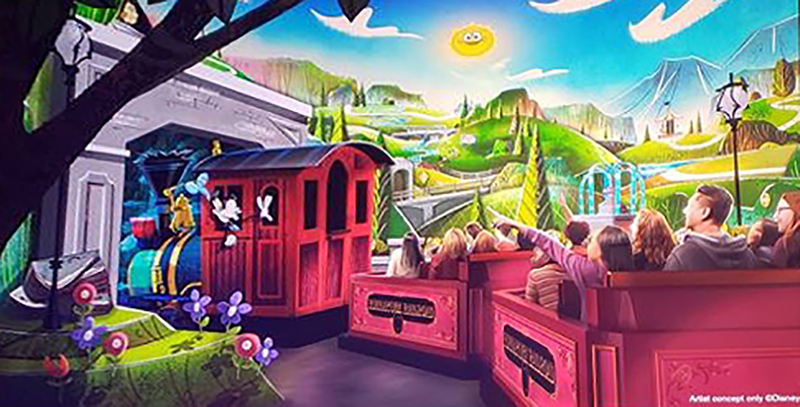 Fall 2019 will be a busy time at Disney’s Hollywood Studios with the opening of Mickey and Minnie’s Runaway Railway, Star Wars: Galaxy’s Edge, and the Disney Skyliner gondola system. 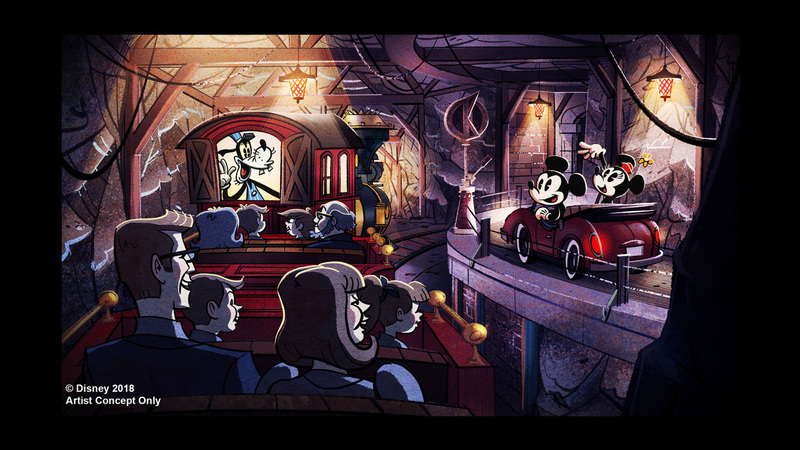 In addition to an opening date, Disney released the following concept art. 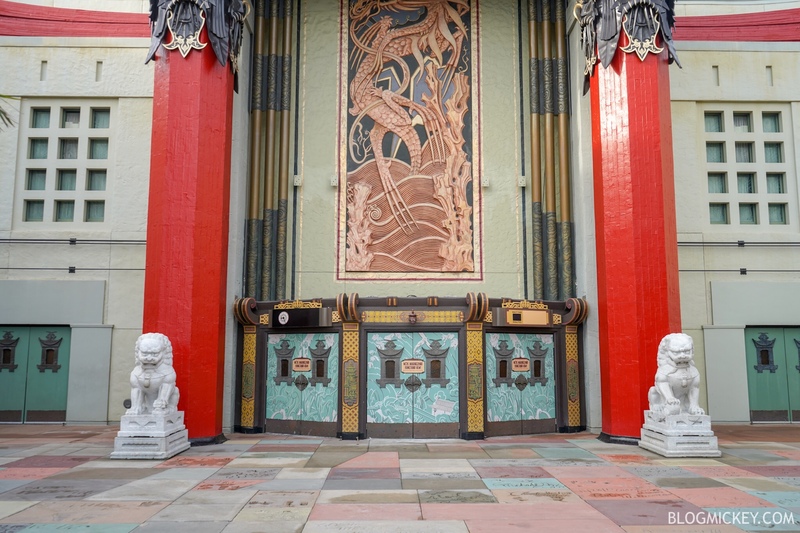 For a look back at the Great Movie Ride, make sure to check out our farewell photos and full ride through from last summer.